Cascading down the lush Pacific face of snow capped volcanic peaks, a Rogue River rafting trip in Oregon tumbles toward the coast with the playfulness of the friendly river otters that make their home on the Rogue. Wildlife like deer and black bear thrive in this congressionally designated Wild & Scenic river ecosystem. Water temperatures invite you to swim and play, splashing through Class II - IV rapids for your choice of 3 or 4 days. 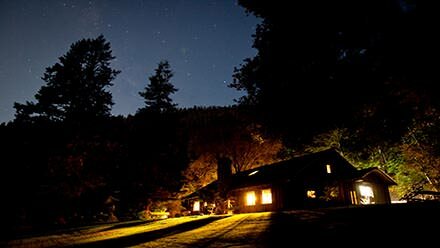 Rafting the Rogue River offers the unique opportunity to spend each night in a riverside lodge! 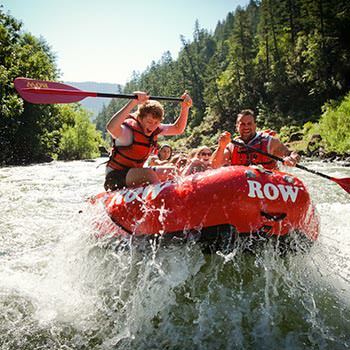 Get all the details for your white water rafting trip down the Rogue River. 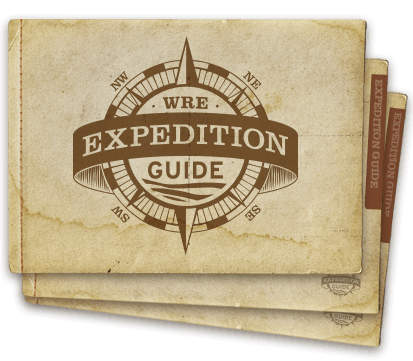 Download our complimentary expedition guide for Rogue River trips in Oregon. You'll find a full-day-by-day itinerary, river map, packing list, essential logistics, and answers to common questions. Raft over 45 miles from Merlin to Foster Bar along one of the most scenic and exciting stretches of the Rogue River. Based on the length of your trip, you'll stay overnight in 2 or 3 historic riverside lodges. Rafting the Rogue River through Oregon is unlike any other river experience. Rustic riverside lodges welcome you with comfortable beds and warm showers each evening after your adventures on the river.